Countertops are a versatile tool in the retail shelving market. 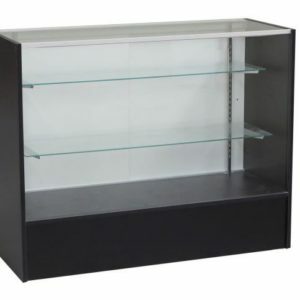 Like wall shelving and gondolas, retail counters can be used across almost all retail industries. Displaying items on a flat surface is simple and easy to organize. 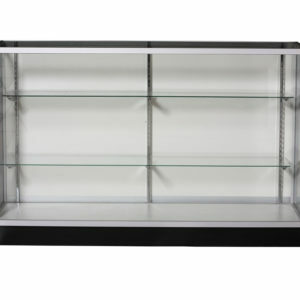 Additionally, counters are the easiest unit to set up as a checkout area. 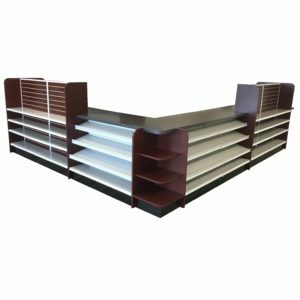 Shelving Depot offers retail store counters, gondola counters, and checkout counters for whatever your shop needs. 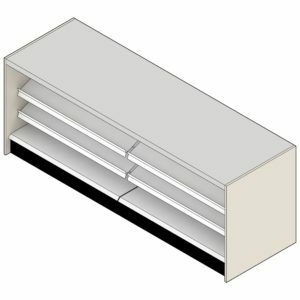 Our gondola checkout counters are great for setting up your impulse shopping items candy, snacks, or small toys fit easily in the slots and will tempt your customers as they checkout. We also offer a fast food module for convenience stores and gas stations who serve beverages. 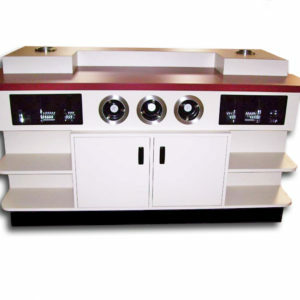 The module has a space for a trash can, cup dispensers, and condiment slots, as well as plenty of counter space for the rest of the food service products.